Thanks so much to all of you who submitted photos for our Frog Pose Calendar! 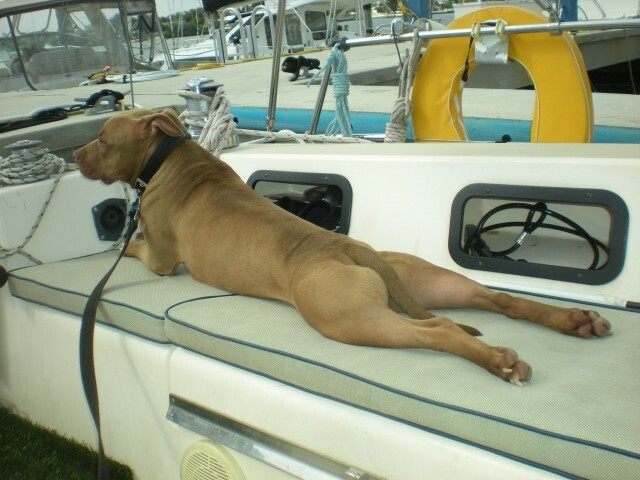 2012 Pitties in Frog Pose Calendar. We will be offering a pre-order option soon! The Road Dogs and Furiends are pleased to announce the First Call for Entries for photos of Pitties in Frog Pose. Are you a Pittie who loves to relax in frog pose? YOU could be featured in our 2012 calendar – Pit Bull Frogs (or a name to be determined later)! So get out your camera and have someone take an awesome high-resolution (300 dpi or 2400 x 3000 pixels) photo of you striking a frog pose. In addition to your great photo, we want your special rescue/adoption story, too! Include a short paragraph about how you were adopted or rescued. The proceeds generated from the sale of the calendar and from any associated voting contests will help support organizations that benefit pitties by rescuing, rehabilitating, adopting, fostering, providing medical care, training and educating the public, like Bad Rap. • Photos must include at least one Pittie doing the frog pose. All Pitties in the photo should be in frog pose. Sorry, no people this time, not even people doing frog pose. We will consider photos of Pitties in a frog costume, also, because that’s kind of a frog pose and we know some Pitties that LOVE their frog costumes! If you’re doing the frog pose IN a frog costume – AWESOME! – as long as you love being in it. We don’t want anyone tormented for the sake of a photo. • High-resolution digital Images only (minimum 300 dpi – 2400 x 3000 pixels). Horizontal (landscape) shots are preferred, if possible. Send original files only (.jpg or .tif), do not crop or reduce size for email. We reserve the right to crop photos for best layout. No scanned or cell phone photos, please. All photos must be the original work of the entrant and entrant must own the copyright to the photograph. If you took the photo, you own the copyright, simple as that. * A short paragraph about your rescue / adoption story. If your photo is selected, we will contact you for more details. • You can submit multiple entries. If you would like to submit more than 4 entries, we would prefer them on a CD. Please contact us so we can let you know where to send the CD. Photos for the Calendar will be selected by a highly-trained staff of professional dog lovers. In the event that there are just too doggone many great photos for our staff to choose from, we will hold a contest and let the public decide. This may include a “$1-per-vote”contest, with all proceeds going to the aforementioned charitable organizations. • Deadline for photo entries is September 15, 2011 so start clicking! We'll post your photos here as we receive them. 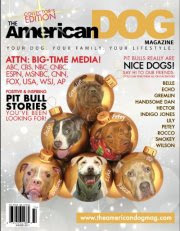 • Each of the Pitties chosen to be featured will receive a free calendar. 2012 Calendars will be available for sale here by Thanksgiving 2011. By submitting an image, entrants grant The Road Dogs (the "Organizers") the right to use the photograph(s) in the Pit Bull Frogs 2012 Calendar and in any other publications, media or related promotions that the Organizers may utilize in connection with the marketing of this calendar. Entrants and photographers understand that they will receive no compensation for the use of these photos. You agree you are the owner of the photo and if necessary, will provide proper photo credit.